Jerry Adder, selftaught painter and sculptor. In the universe of Jerry Adder a visible battle between good and evil forces takes place. 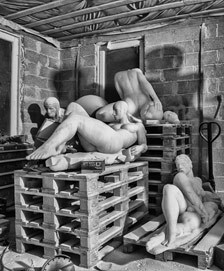 The inner conflict of humans is brought to light and made tangible in the figurative form of the naked body which, in an often restricted space, reflects a world of chaos, inferno, evil, passion, erotica and love. 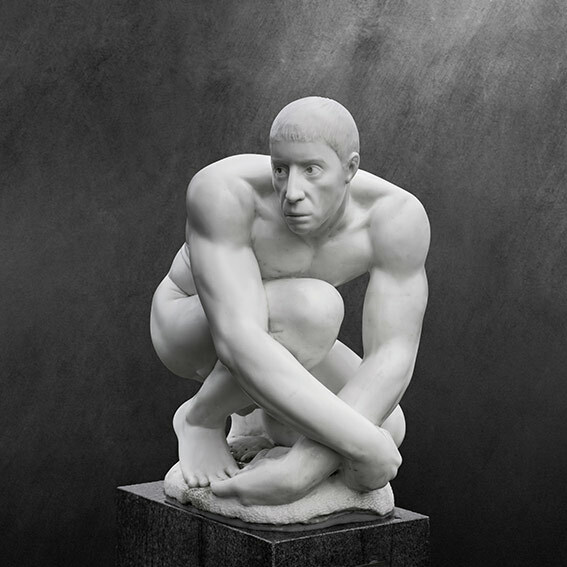 The sculptures are carved in a very direct work form without sketches or models. They appear during the actual carving process. As in an archaeological process, fossil creatures are discovered. 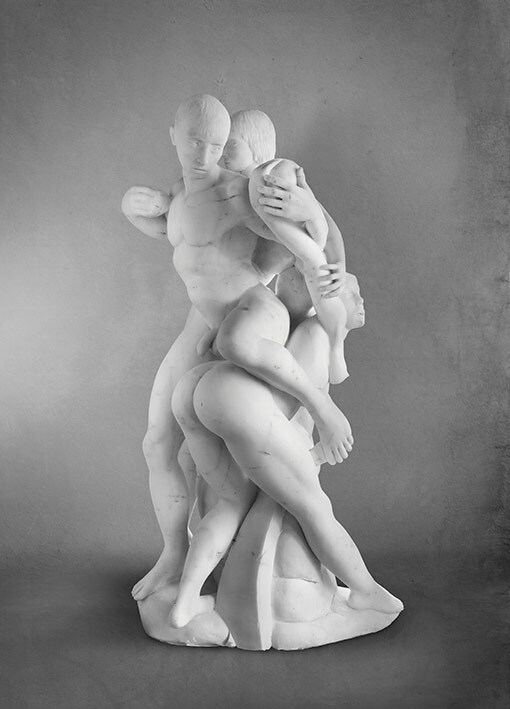 All the sculptures are handcrafted and carved in the finest marble from Sweden, Greese and Italy. Jerry Adder’s paintings are colouristic and expressive, characterised by the struggle between life and death in an all-encompassing creative process that focuses on modern humanity in all its impotence and isolation. Jerry Adder is unique in Danish contemporary art born in 1958 in Copenhagen. 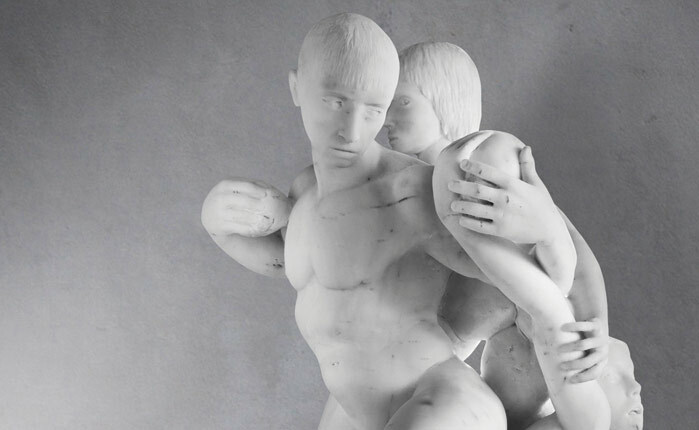 His sculptures contain an expressive violence in the struggle for redemption. 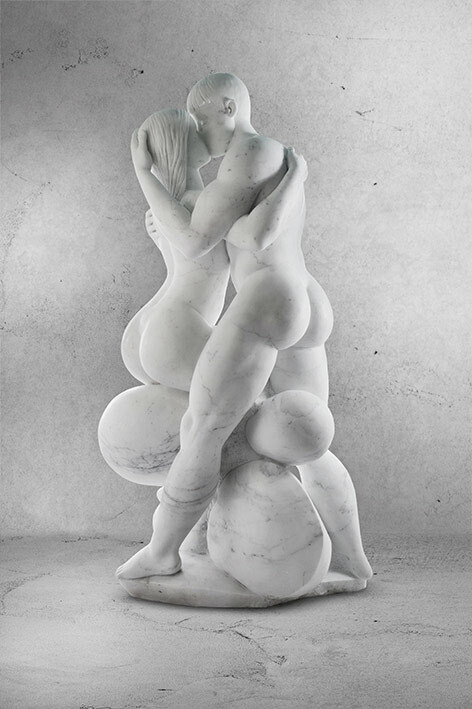 That which is difficult to describe with words is described with form – words turn into flesh – in the shape of smooth, polished white bodies, carved in Greek and Italian marble. 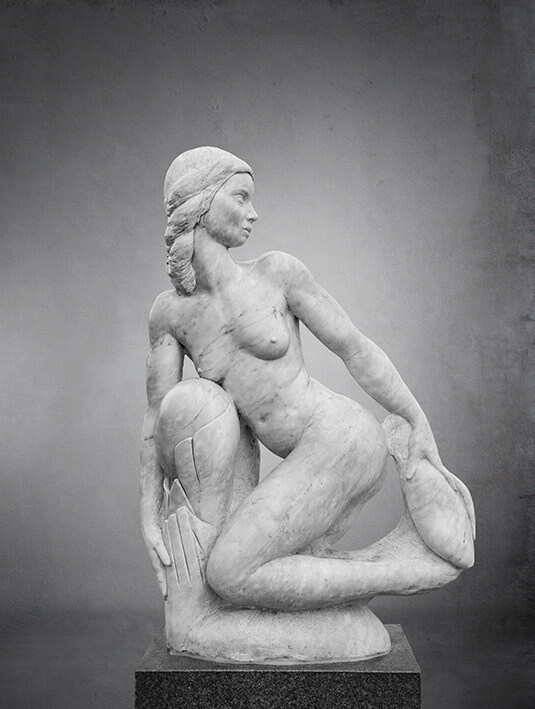 The sculptures are carved in a very direct work form without sketches or models. 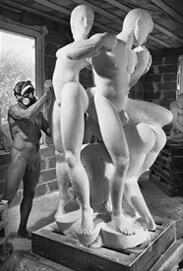 They appear during the actual carving process. As in an archaeological process, fossil creatures are discovered. With traces pointing back towards the late Italian renaissance a contemporary sensuous expression is explored. 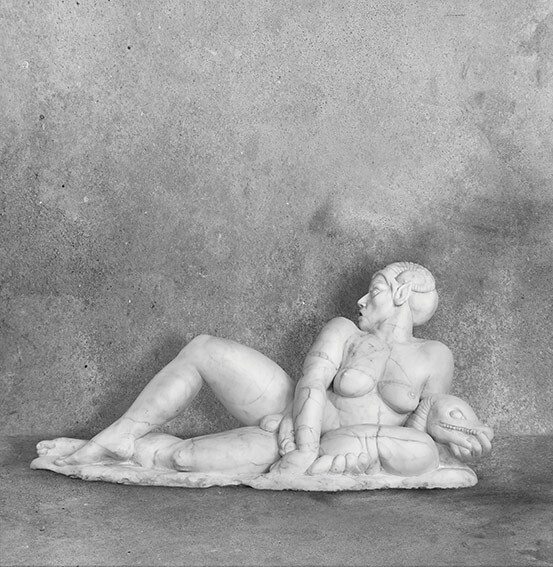 In 2007 he won the Medici Award at The Biennale in Florence. Jerry Adder is a member of Dansk Billedhuggersamfund. 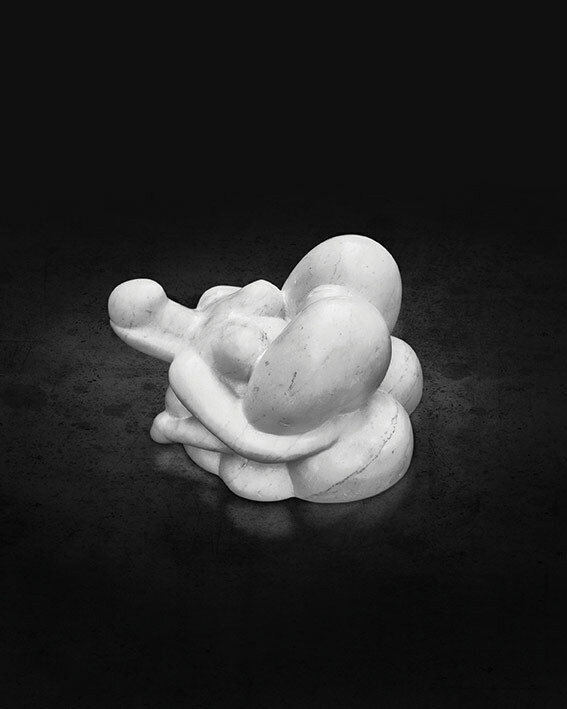 Media: Marble and bronze sculptures, oil on canvas, drawings and acrylics. Contact art agent John Wulff, if you would like to get in contact with Jerry, would like to see the pieces of art in real life or would like to book pieces for an exhibition. John Wulff represents Jerry Adder internationally. A number of the pieces of art found on the website is sold and no longer available. For questions about availability contact John Wulff.